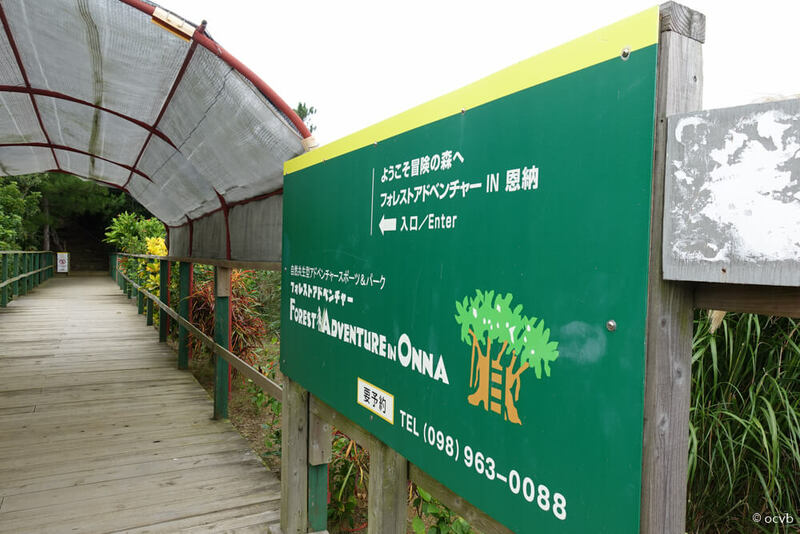 This time I paid a visit to “Forest Adventure IN Onna,” which is located in the northern part of Okinawa Prefecture, an area known as Maeda, Onna Village. 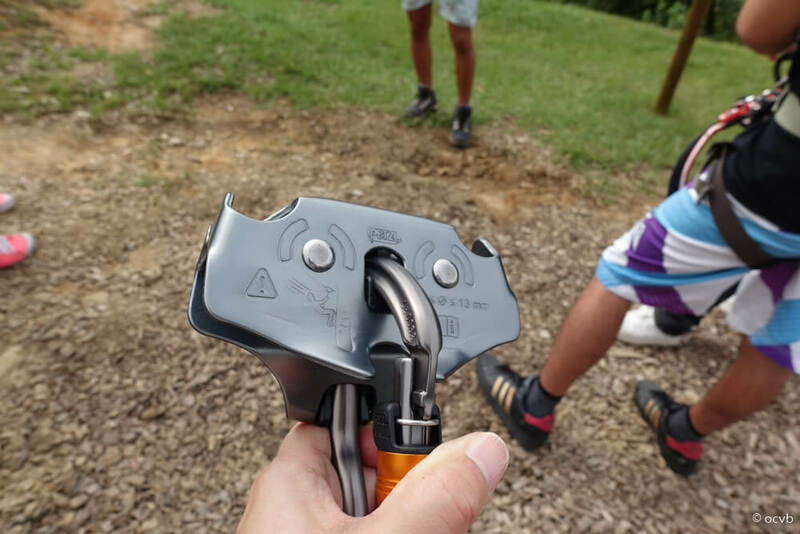 ‘”Forest Adventure” is an outdoor park that was created in 1997 by the French company Altus, as a facility for corporate training. 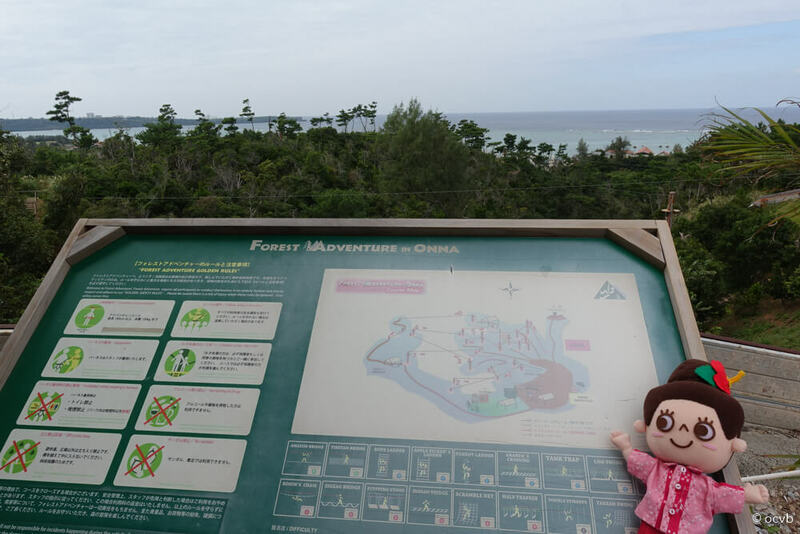 The park became so popular that it was also opened to the general public, and currently there are around 250 of these facilities throughout the world. 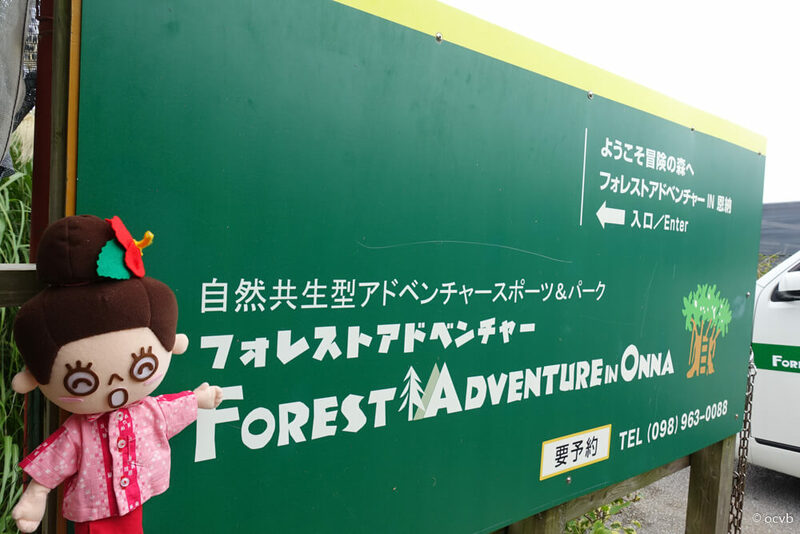 In 2008, “Forest Adventure IN Onna” was opened as Japan’s third Forest Adventure facility. 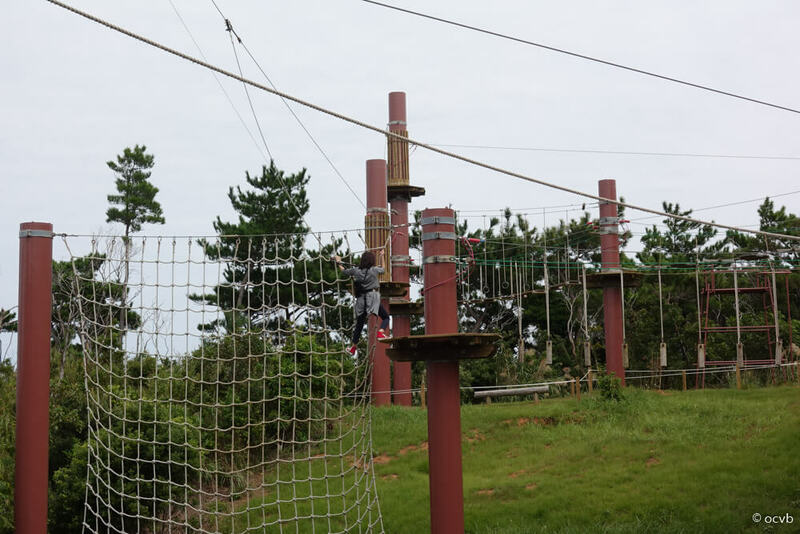 In November 2017, the park was reopened after having installed a new safety system and “Archery Tag,” the newest outdoor activity to arrive in Okinawa. First we rode a shuttle bus that leaves from the private parking lot and drives for 5 minutes up a mountain road. 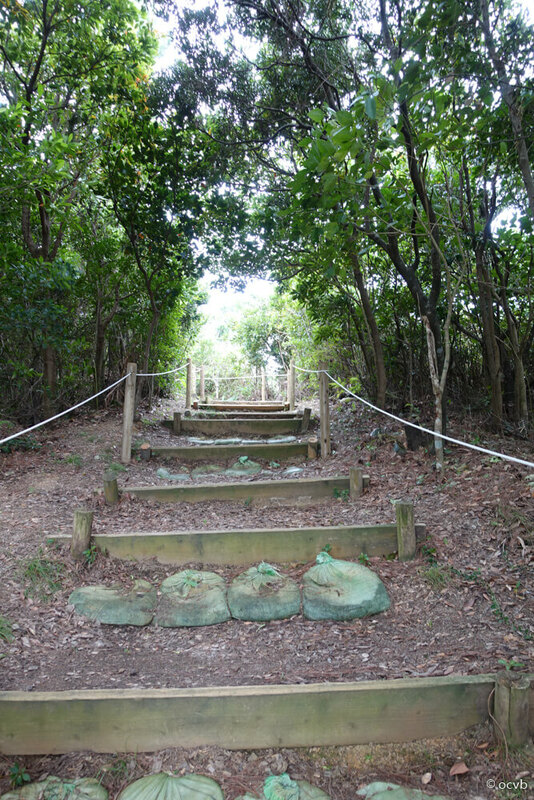 We then walked from the entrance to the reception lodge. 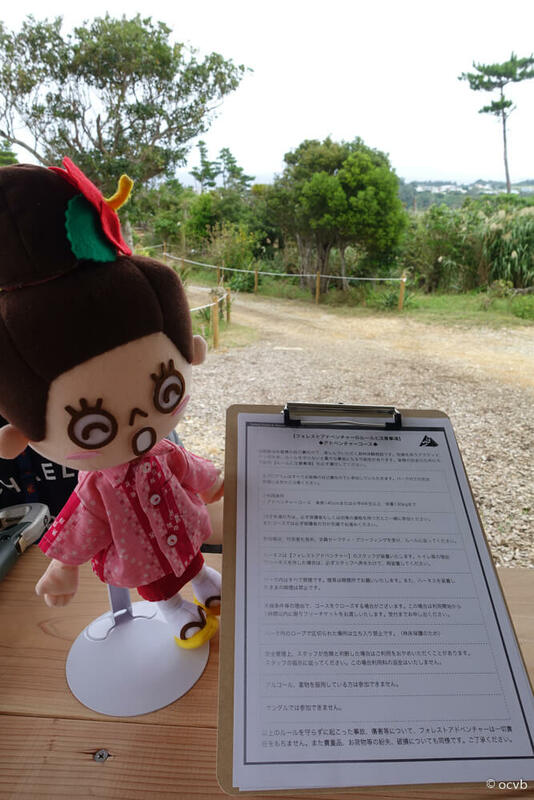 Once we arrived at the reception center, we had to carefully read the notes and safety precautions before signing an agreement. This is also available in English. Next we were fitted with a harness. 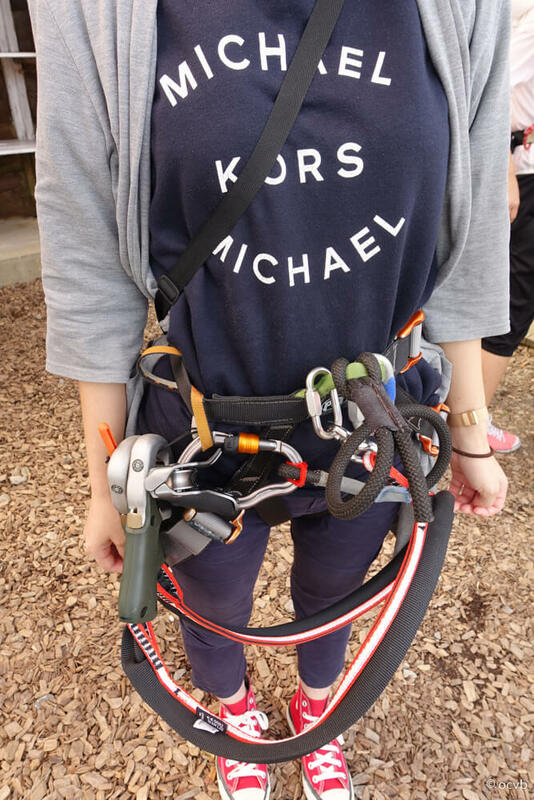 To rest assure you are safely in your harness, be sure to check with a member of the staff when putting it on or taking it off. Before heading to the course, we were given a safety briefing. 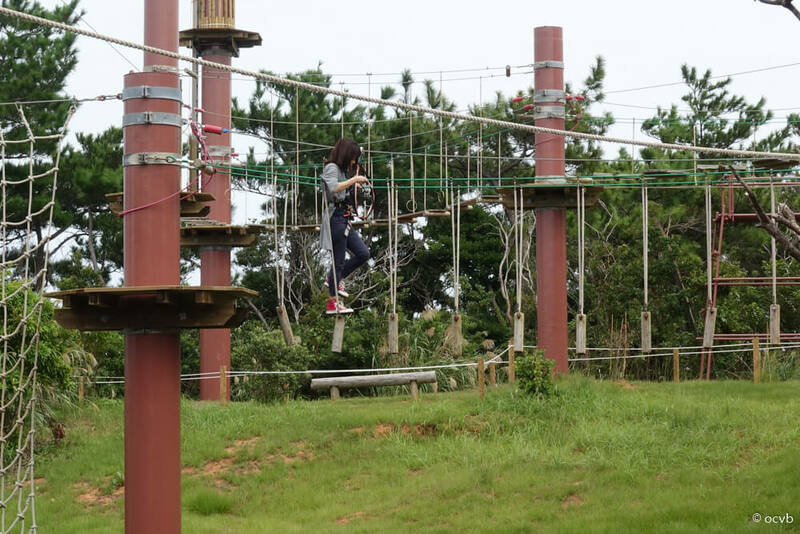 Forest Adventure is a facility where people can enjoy the attractions while adhering to the basic principle that their own safety is their own responsibility. 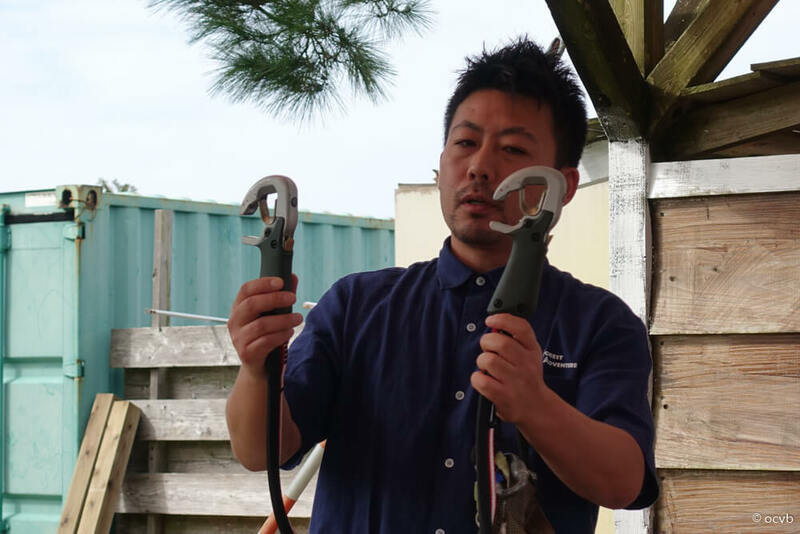 Listen carefully to the explanations given by the members of the staff and master the knowledge on the function and usage of various safety equipment. 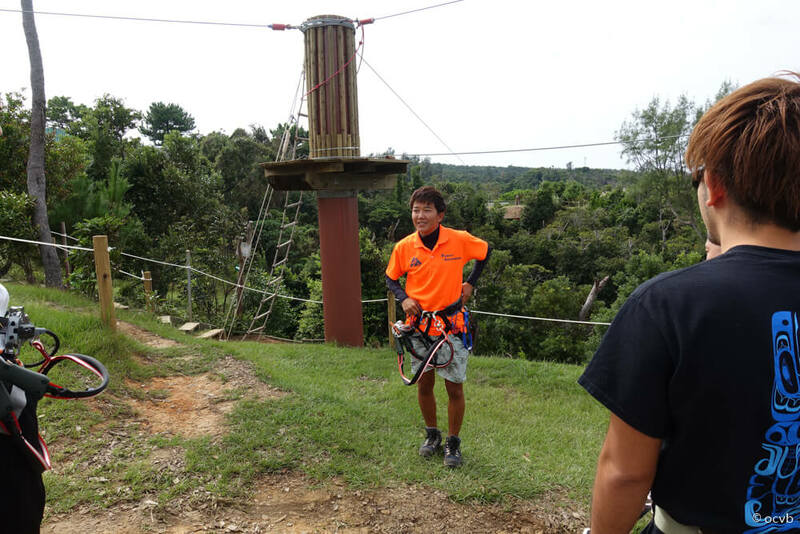 After the safety briefing, we practiced on a mini course before heading to the main course. 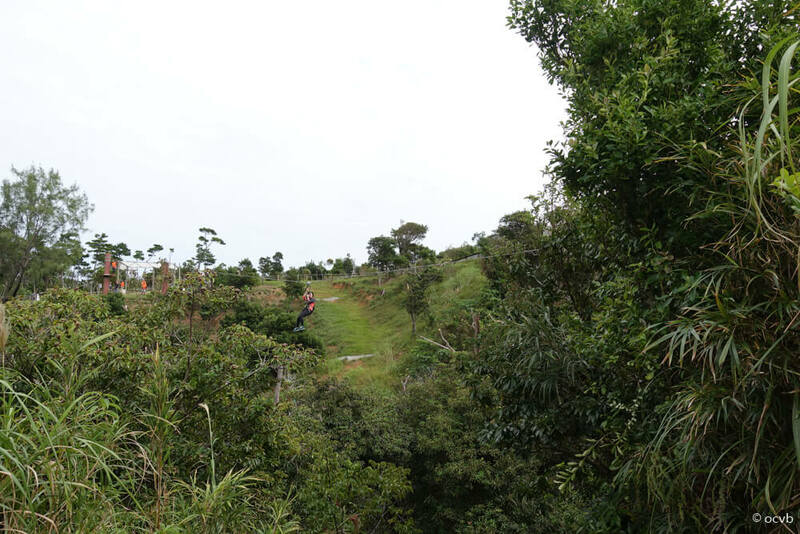 First we decided to tackle the Jungle Zip Trip Course, which includes 9 zip lines. 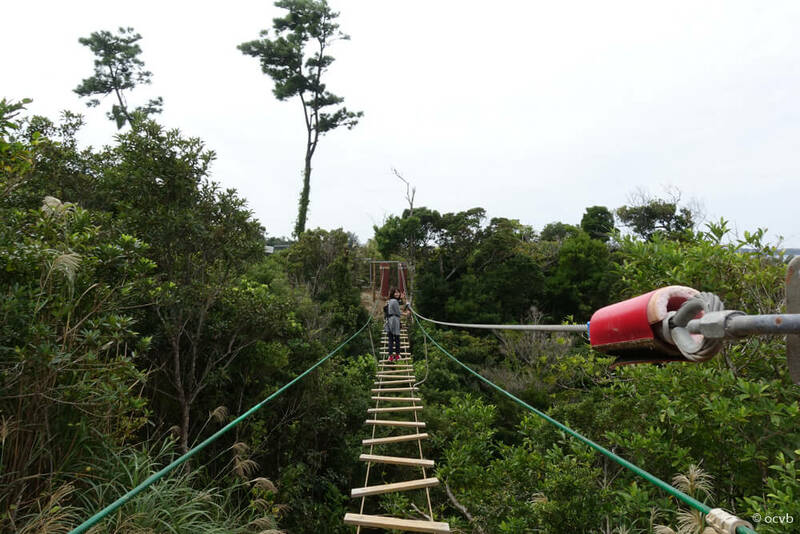 One by one we made sure we were safely secured before heading down the zip lines, passing over lush, dense forests and crossing suspension bridges. 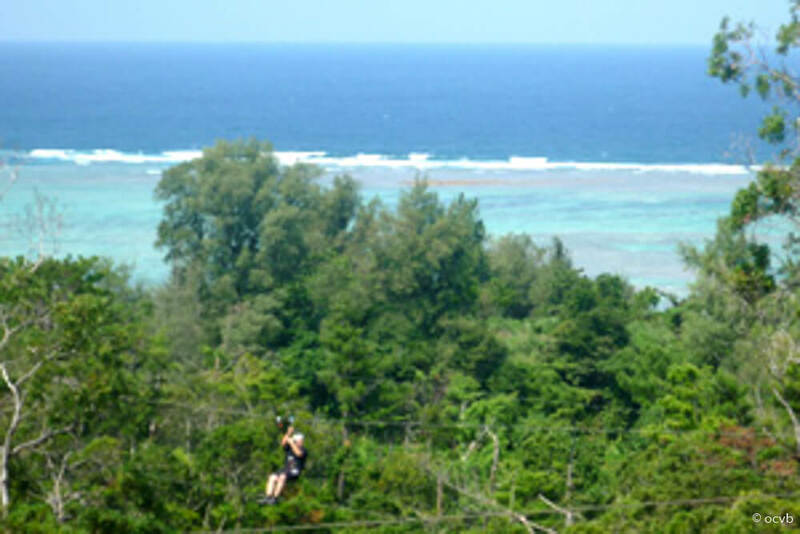 The zip line with the longest distance is 120m and the highest is 30m above the ground, making this a truly thrilling experience! 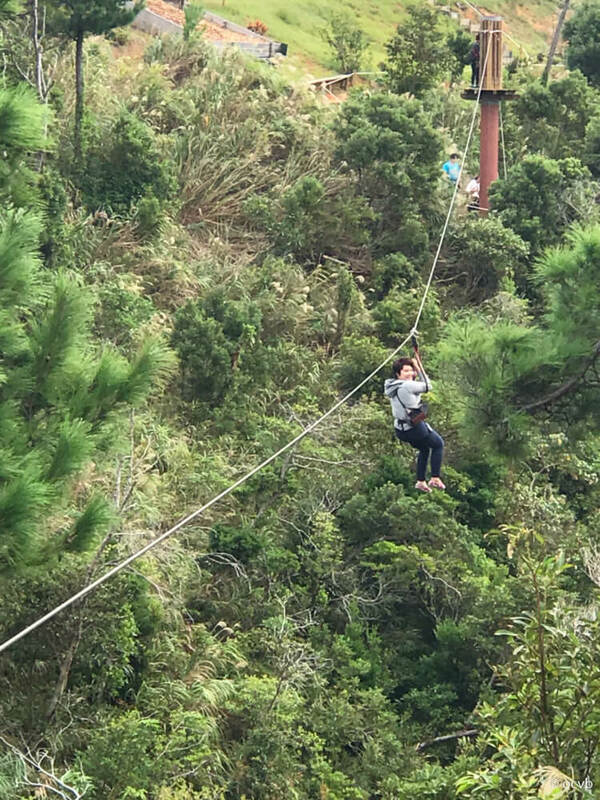 Not only is it thrilling, but it’s also amazing to experience the joy of soaring through nature! 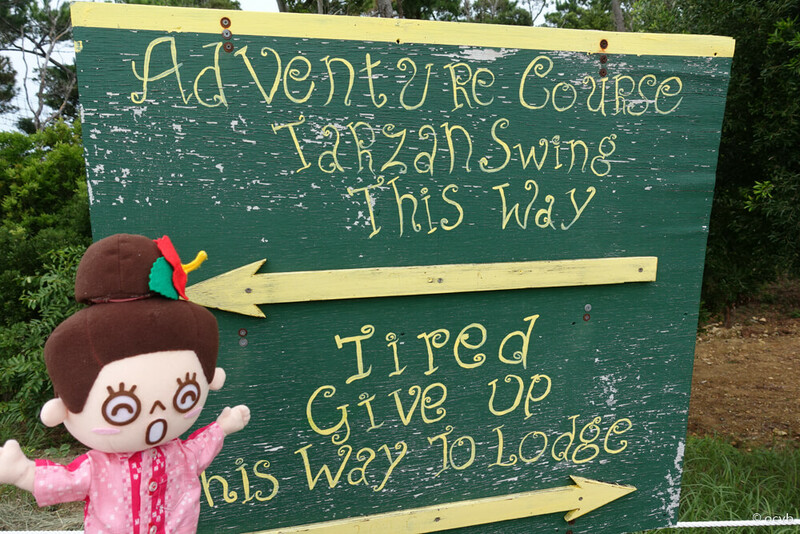 After the Jungle Zip Trip Course, there is the option to continue on to the Adventure Course or head back. 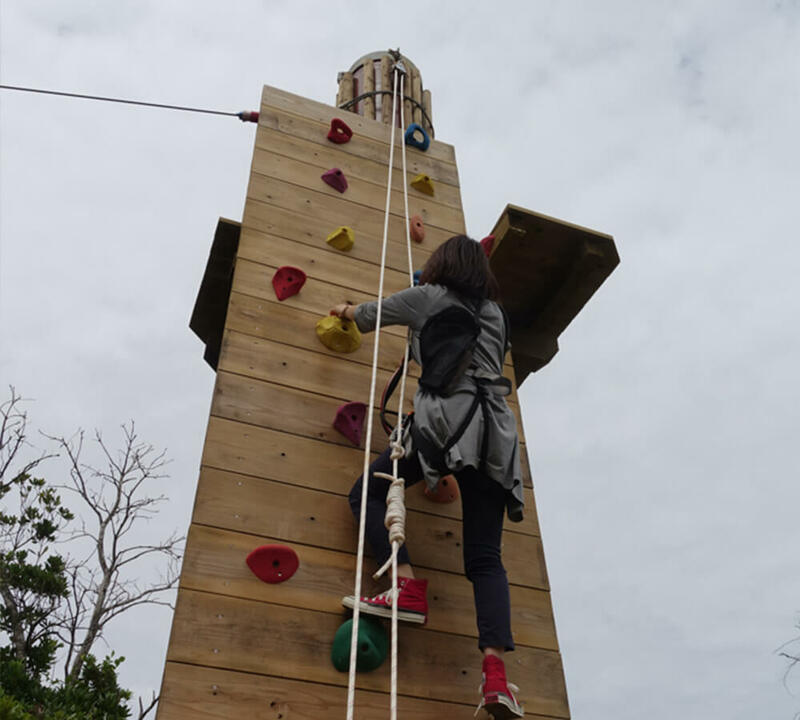 It is recommended to determine your own comfort level and make a decision based on your own physical abilities. 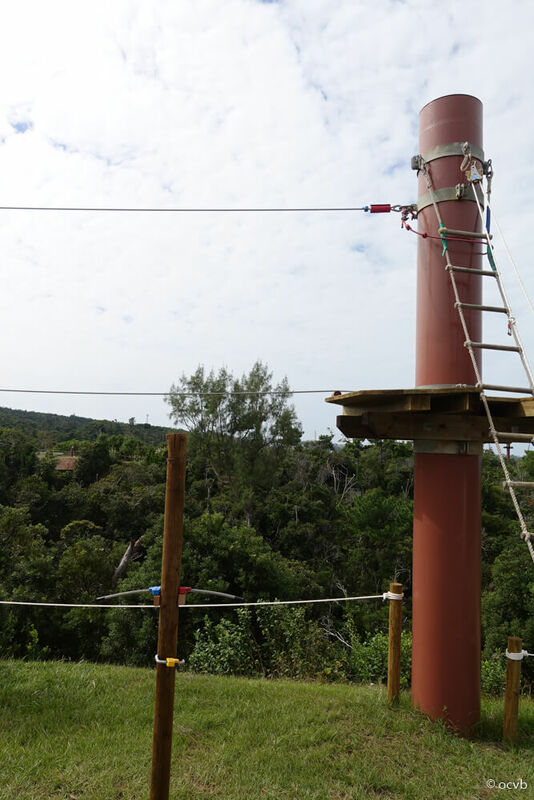 The Adventure Course has 16 advanced activities, including the Tarzan Swing, which provides a similar thrill to a bungee jump. 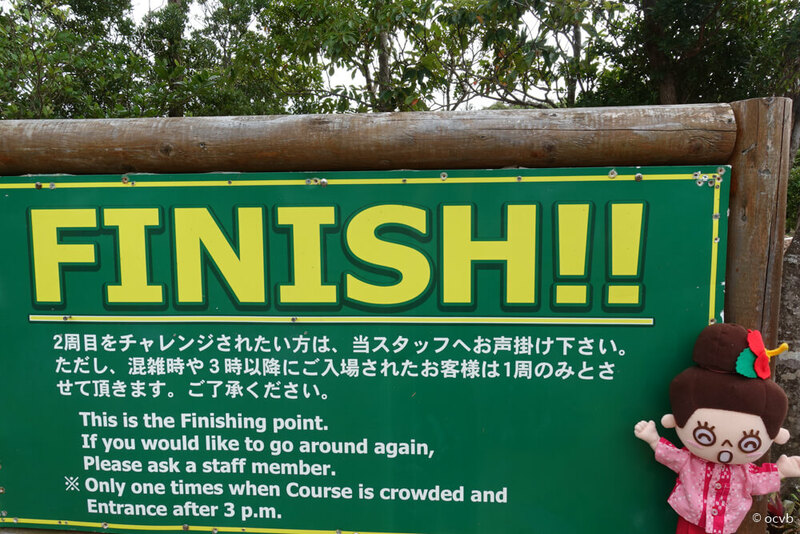 Finally, there is one last zip line to the finish! Those who have time can also challenge themselves to a second trip around. 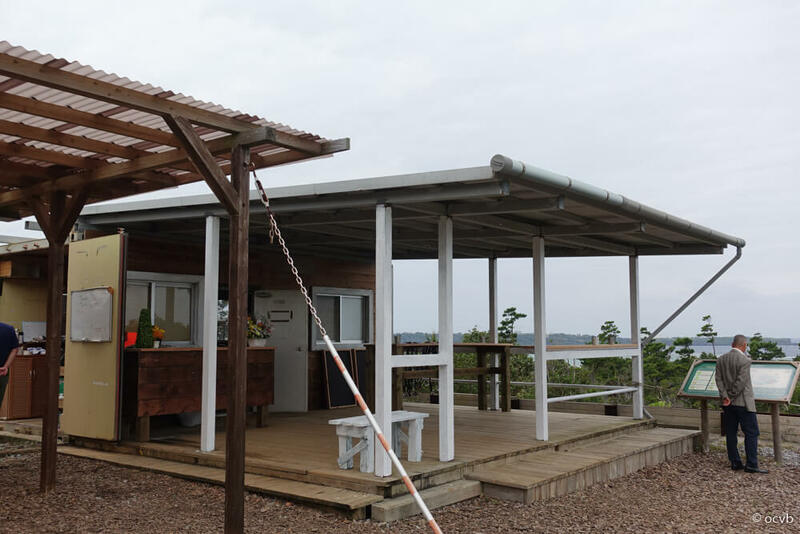 This outdoor activity is surrounded by nature and allows adults to retrieve a glimpse of their childhood. 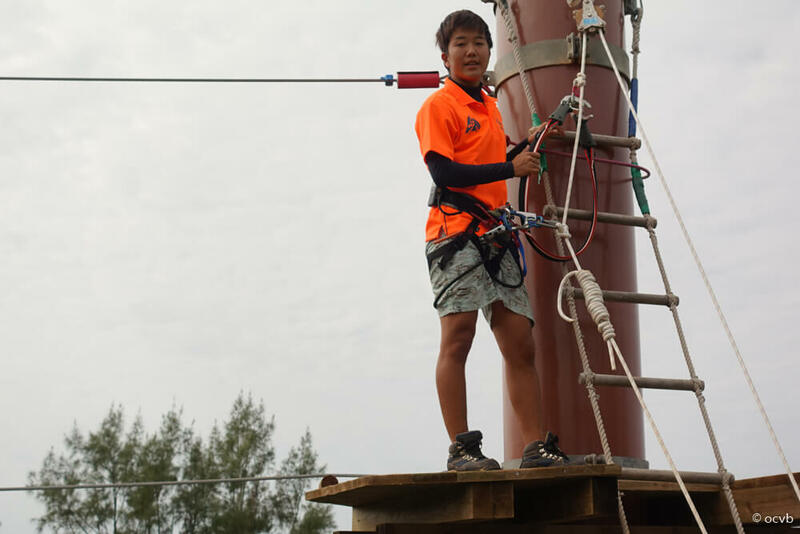 Anyone who is healthy and can understand the safety briefing can enjoy this experience, but must be over 9 years old, or measure over 140cm and weigh under 130kg. 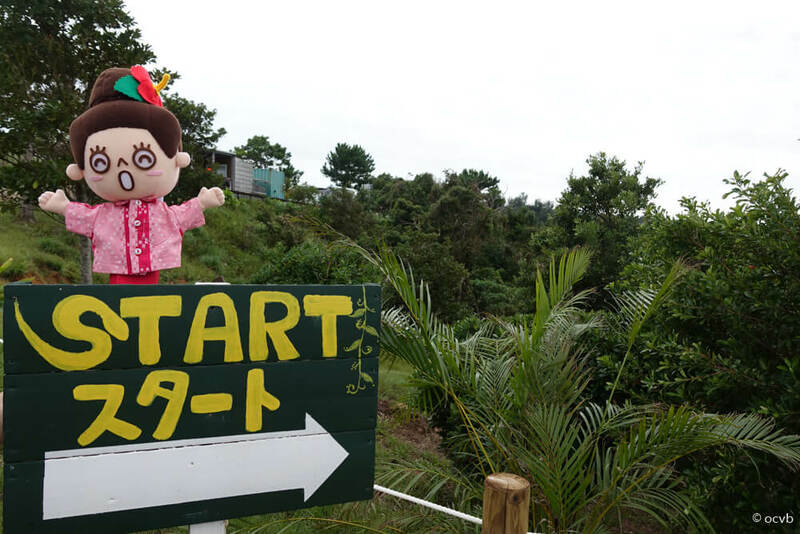 Why not try this activity, surrounded by the lush nature of Okinawa?